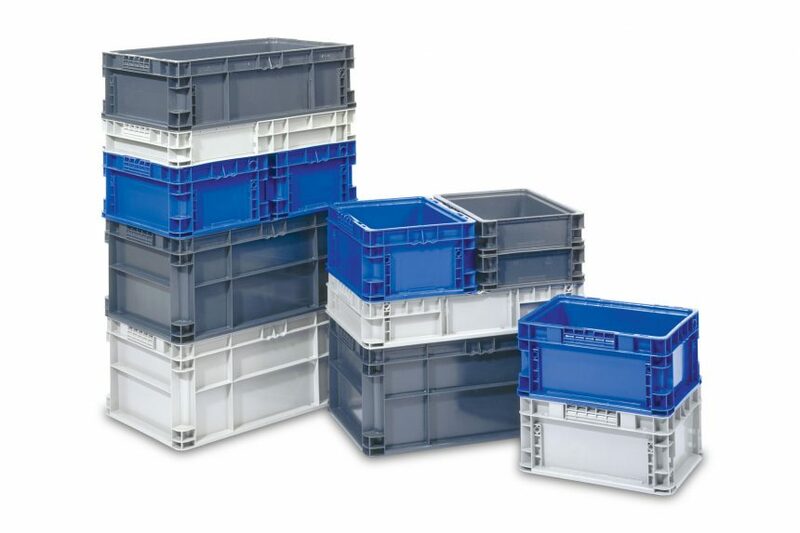 AF containers come in a variety of versions: ventilated bottoms, ventilated sidewalls, and reinforced bottoms. Plus, AF containers have optional detached lids. The AF Transtac containers are the original industry standard and are perfect for heavy duty and demanding applications. ~ Due to weight and safety factors, stacking these boxes to full 50″ palletized height is not recommended. ** Based on 99″ Stack Height on 5″ Skid for maximum cube efficiency. Double stacked palletized units with plastic pallets and top caps will reduce truckload quantities. ***Other options are available on certain products. Options include drain-holes, ventilated sides or bottoms, detached lids, and open handholds.